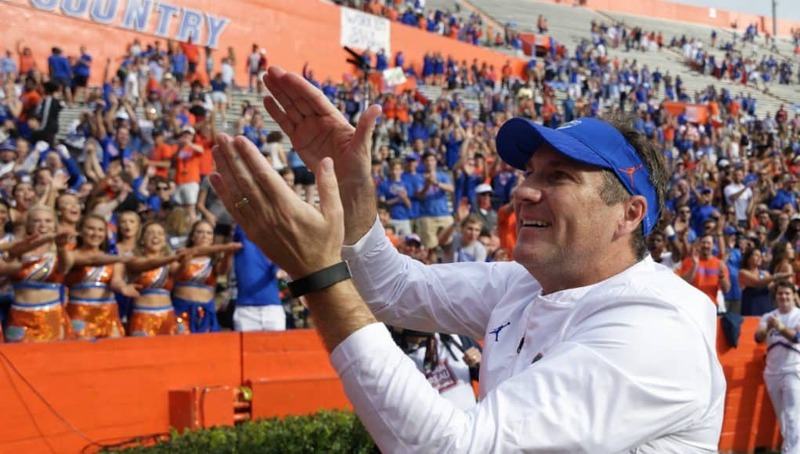 On Wednesday, the Florida Gators hosted two out of state prospects on campus to watch spring practice as the Gators continue to prepare for the Spring game in April. 2021 defensive end Dylan Brooks (6-5, 225, Roanoke, AL. Handley) was on campus for the first time on Wednesday. 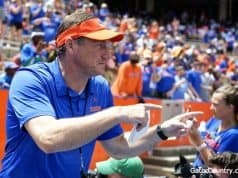 Brooks watched the Gators practice closely and was watching the defense and in particular the position that he thinks he will play in college. While on campus, Brooks talked to several different coaches and he got a message from defensive line coach David Turner. 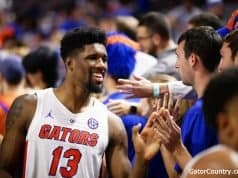 Brooks also picked up an offer from Florida on Wednesday after he talked to the coaching staff after practice. 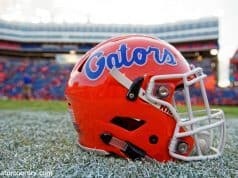 Florida was the 14th offer for Brooks already and the Gators quickly rose to the defensive end’s top list of schools.